You’ve tried several years before but this time, come January 1, 2010 your New Year reSEOlution is to be more SEOrganized, pay more attention to the detail, save on SEM spending and track those milestones once and for all. You’ve been ready since January 2007 but are so busy that you get off track and end up putting it back in the rainy-day pile for next quarter. Hundreds of rainy days later and you have no idea what your SEO program is let alone the basic concept of relevant keywording and linkbuilding. There are probably hundreds to thousands of FREE SEO tips you can incorporate into your internet marketing program. 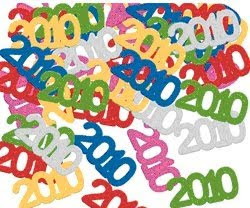 I’ve listed below a top ten list to help jump-start your 2010 New Year reSEOlution. Along the way, I’ve included a few helpful URLs that will provide you with many more SEO tips to choose from. 6. Review title tags and make sure you use 3 to 4 relevant keywords, repeating them each at least 2X but no more than 3X; Characters should not exceed 150 (including spaces) For example, a jewelry site might have the following title: "AnnHarringtonJewelry.com, discount diamond rings, diamond jewelry, diamond engagement rings, antique jewelry, modern jewelry" – note the web site URL address is 1st, then followed by the use of keywords "diamond" used 3X, "rings" used 2X, and "jewelry" used 3X, all relevant to this the web site; All following the SEO industry standard as mentioned in this section (see 1st sentence). 9. Optimize your site map; I’m amazed at how many web sites are not optimizing their site maps; Yes you’ve had a site map since the web site was first created but is it optimized to include relevant keyword descriptions, etc? 10. Submit your site to reputable search engines such as Yahoo, DMOZ, Aviva, Business.com, etc. Remember your 2010 new year reSEOlution program is a WIP (work in progress) and the more regularly you review, update and add to your existing SEO program, the more impact your SEO will have to your bottom line. Wishing you and yours a healthy and prosperous 2010! This is very very informative posting on How to reSEOlution. Appreciating your efforts and presentation. These tips are useful to http://website-seo-guide.blogspot.com.